Analog CCTV cameras were the standard for security surveillance systems for a long time, but IP video has taken the standard and brought it to an an entirely new level. Essentially, analog systems are eyes that lack a brain. They can take in information but lack any ability to process it, making them a very passive approach to security. 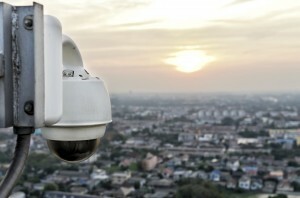 IP video on the other hand, is the HAL9000 of video surveillance. Not only are its eyes more powerful and capable of better image quality than any analog system, IP video is also able to process and interpret what it sees. It can then interact with other physical security information systems to form a succinct and cohesive overview of the security status of a location in real time. One of the biggest advantages of video management systems (VMS) that IP video uses is their ability to analyze the data being sent to them by the system’s cameras. VSM can detect a myriad of security concerns based on the information it receives. Loitering detection alerts operators when a person or vehicle has remained in a location for an unusually long amount of time. Systems are also capable of detecting unattended objects, which could be a bomb, removal of equipment, vehicles and people going the wrong direction while entering a restricted area, and perimeter intrusion. The cameras themselves can even alert operators when they’ve been tampered with, suggesting the presence of a security threat. Not only does IP video analyze the information it receives, it can also communicate with other physical security systems to get a better idea of the security situation. Physical Security Information Management (PSIM) systems are also built on an open and scalable architecture, increasing their flexibility and ability to add new systems. Integration with maps of the facility and perimeter allow the PSIM to pinpoint the exact location of a security event and track its progress in real time. Overall, not only does IP video provide markedly better image quality than analog, it’s ability to process information actively and intelligently takes security technology to another level. For any further questions about How IP Video is Changing the Way Security Works, simply contact ARK Systems at 1-800-995-0189 or click here today. Check us out on Facebook and Twitter as well! This entry was posted on Thursday, November 21st, 2013 at 2:28 pm. Both comments and pings are currently closed.